Scenario: We already have our app on azure and all that we want now is to add the right domain. 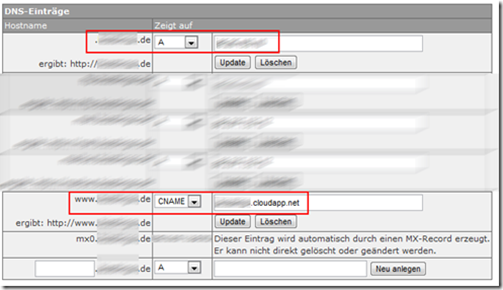 Our TestApp.cloudapp.net should be able to call with testapp.de. The problem: We don´t know the IP of Azure. 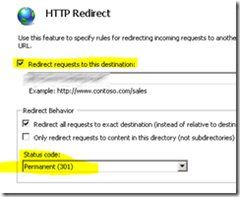 So either you enter a (not Azure-) machine or you set up a transmission rule with the help of the Hoster. Here I´m going to define a CNAME like http://testapp.de - a CNAME just works if you have a "Subdomain". The CNAME just points to testapp.cloudapp.net. 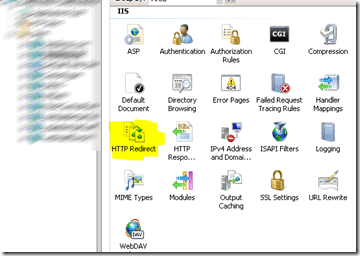 http://testapp.de -> is transmitted to http://www.testapp.de and this is transmitted to the Azure platform. But it won´t work without www or another subdomain (also app.testapp.de would be work). But the cloudapp.net is NEVER shown to the user.